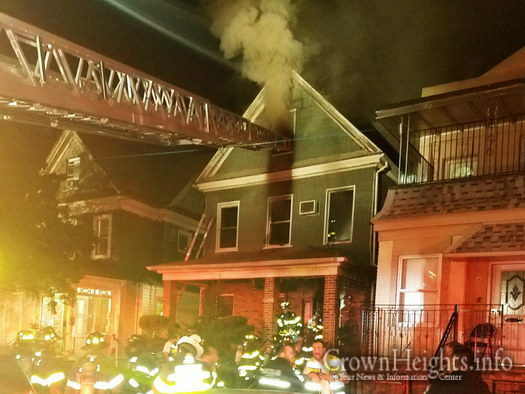 A fire on President St left two floors of a three story building uninhabitable Sunday. 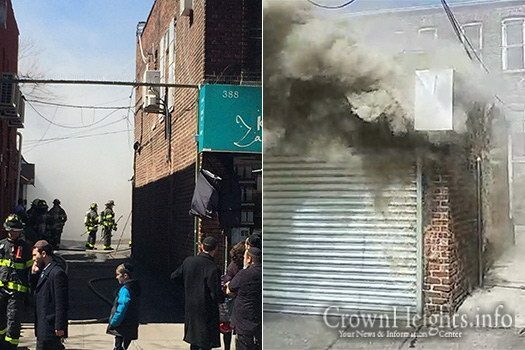 The fire was quickly placed under control, and no one was injured in the blaze. 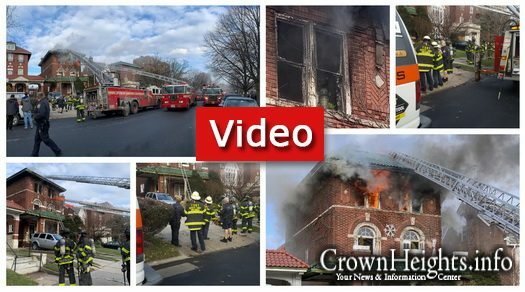 A fire ripped through the upper floor of a house on President St Monday afternoon, leaving the floor in ruins. 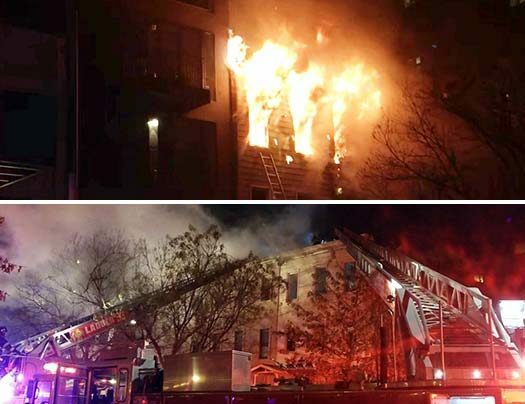 No one was injured in the blaze, and firefighters succeeding in suppressing the flames. 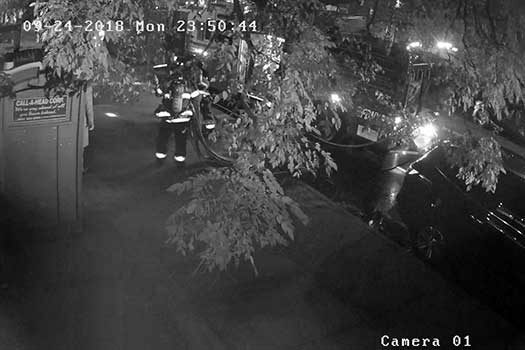 Still image from surveillance video showing firefighters arriving at the scene of the fire. 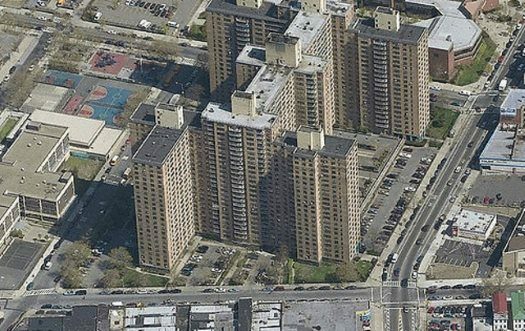 A fire, which broke out on the second night of Sukkos, forced the evacuation of an apartment building on East New York Avenue and displaced a family after an unattended candle on a porch caught fire and quickly spread. 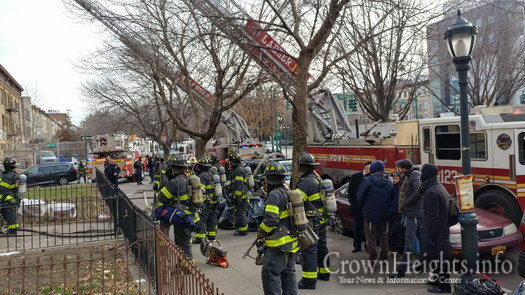 An early morning fire killed a 79-year-old woman in a Crown Heights apartment building off Eastern Parkway. 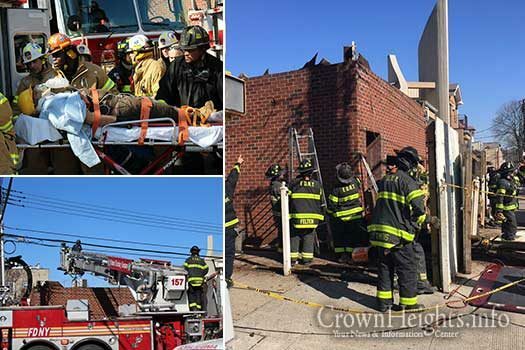 3 others were critically injured. 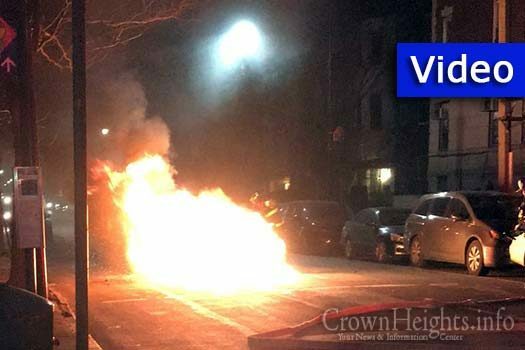 Video: Car Bursts Into Flames on Brooklyn Ave.
A car suddenly burst into flames as it was travelling on Brooklyn Avenue. The driver managed to escape the burning vehicle before flames entered the cabin. 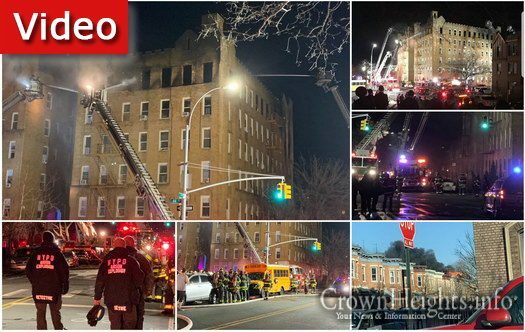 A fire in the top floor of a five story apartment building took 45 minutes to get under control and destroyed the apartments of two families. A fundraiser has been launched. 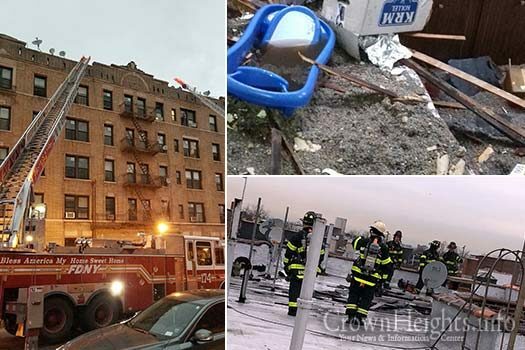 A fast moving fire has tragically claimed the lives of a mother and her three children, while injuring a number of others in Sheepshead Bay, Brooklyn. 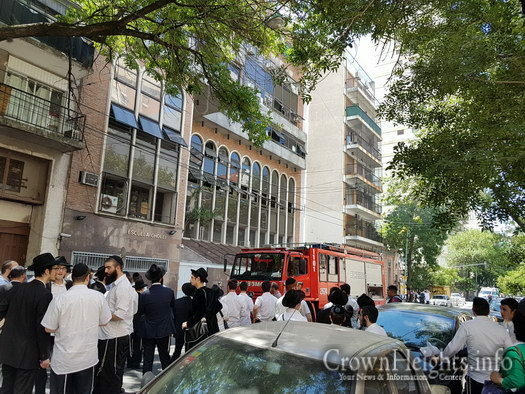 Chesed Shel Emes is on scene and assisting in preserving kovod hames. 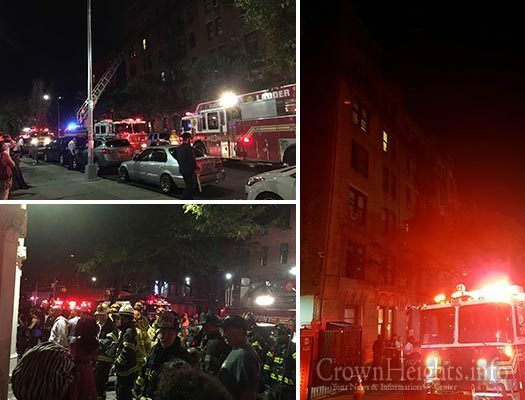 Two people were injured after a fire broke out on the 14th floor of the landmark Crown Heights high-rise apartment complex known as the Ebbets Field Apartments early Tuesday morning. 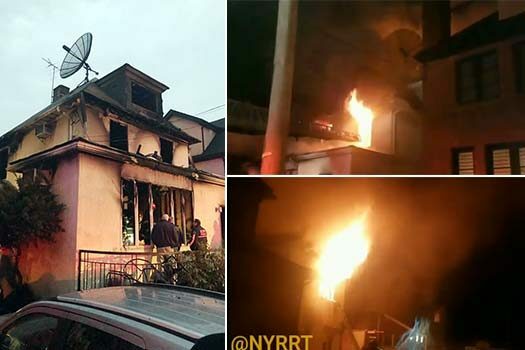 A man and his wife perished in a late night blaze in Boro Park last night, and their 17 year old daughter suffered minor injuries in a fast moving fire that tore through their house in the middle of the night. 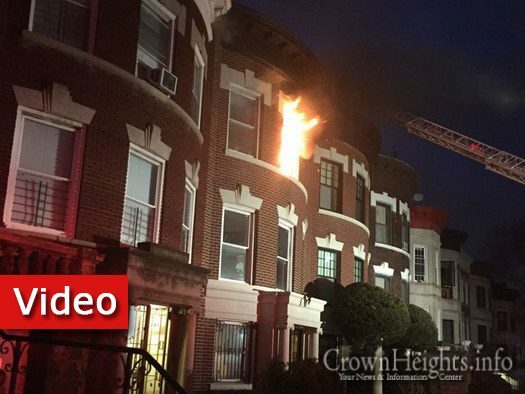 A fast moving fire quickly engulfed the second and third floors of a large apartment building on Kingston Avenue in Crown Heights. 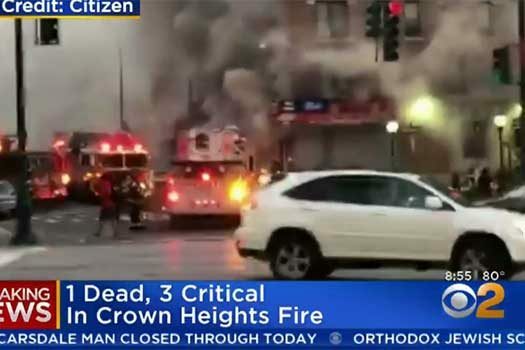 One person was killed in the blaze and four others were injured. Update: Victim identified. 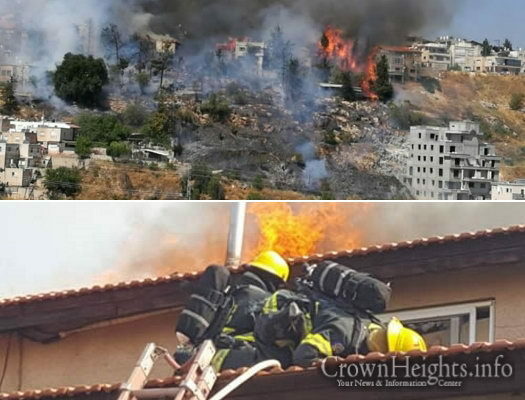 Families were left homeless on Sunday in Tzfat, Israel, as raging brush fires fueled by sweltering midsummer temperatures and high winds swept through a neighborhood on the northern edge of the historic spiritual center in Israel’s Galilee. 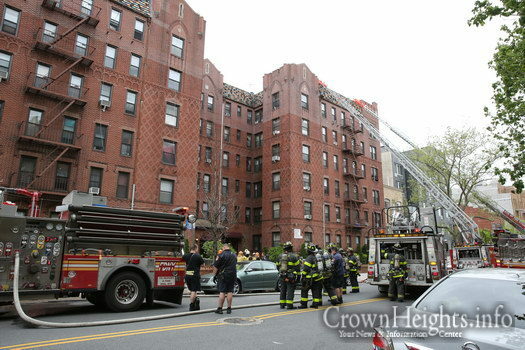 Residents were also treated for smoke inhalation during the day. 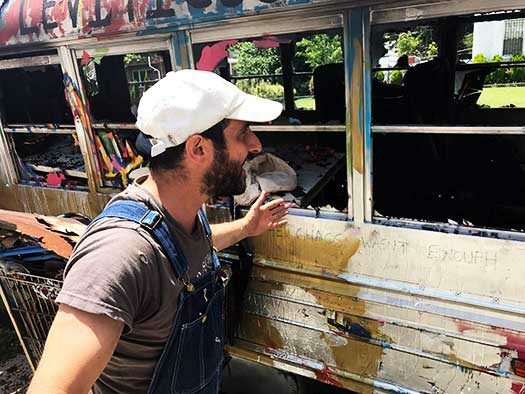 A mini school bus, which has been converted into a rolling art project by a Jewish artist, was torched over the weekend and police are now investigating the incident as possibly being motivated by hate. 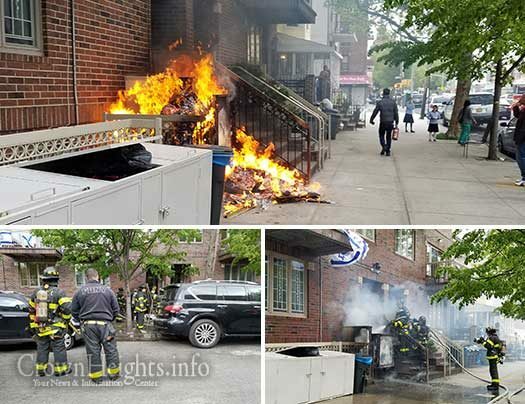 Unknown vandals brazenly set the trash in front of a Jewish apartment building ablaze on Monday afternoon. 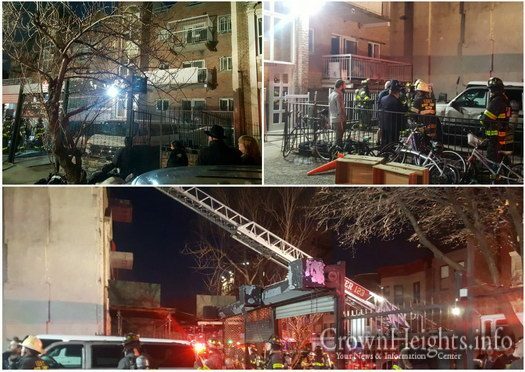 A fire broke out on the fifth and sixth floors of a large apartment building on Lefferts Avenue in Crown Heights. 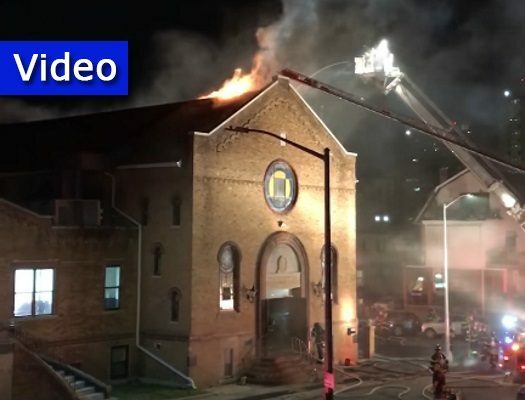 The Jewish community of Sea-Gate, located on the Southwestern edge of Brooklyn, is in shock after a fire ripped through a century-old synagogue, led for the past 25 years by Chabad Shluchim to Sea-Gate Rabbi Chaim and Rivkah Brikman.